Salient’s wp_nav_menu function is wrapped in a static nav and ul elements, rather than using the standard container and items_wrap parameters. Therefore when UberMenu is activated it is wrapped in an extra ul and everything appears broken. 3. 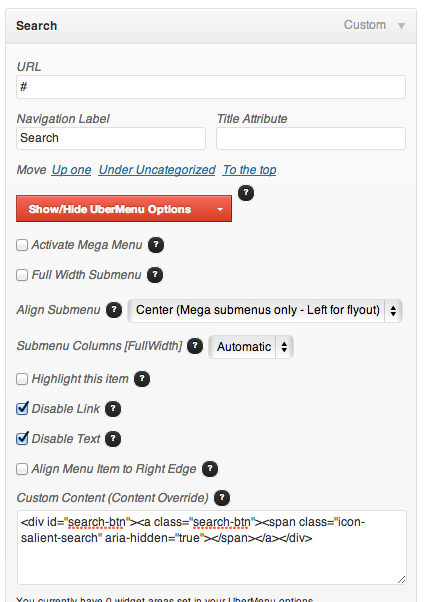 Use the Vanilla UberMenu Skin for the best match with Salient’s header styles. Enable Content Overrides, create a custom menu item, disable link and text, and add the following markup to the Content Override.